World War II poster from the U.S. Office for Emergency Management War Production Board. In public domain. Remember when you could just enjoy something and not have to be a "geek" or "fanatic" about it? I think that’s quite become the case these days. If you enjoy a sport you get asked about training regimes, leagues, teams, affiliations with athletes etc. If you enjoy creating art you get asked about gallery placements, sales, your influences, the location of your atelier or warehouse workspace. If you enjoy writing you get asked about where you’ve published, what other authors you know, the breadth of your audience, personal appearances, how many copies you sell, who’s your agent or publisher. Now one must now be fully committed to any stated enjoyment. One must be dedicated, passionate, relentless. It must fill every waking moment. It must also have a future. You must state where you plan to take this enjoyment, what it’s measurable outcomes might be. You must work at your enjoyment. Toil and sweat to make it everything it should be. You must also then prove it by way of statistics, quantification. Anything else is suspect somehow. If there’s no immediate obvious return on your investment of your time you’re deemed lazy, incompetent or in need of a “life coach”, urged to give it up for something with more tangible gains. Pleasure and enjoyment have become a full time job. 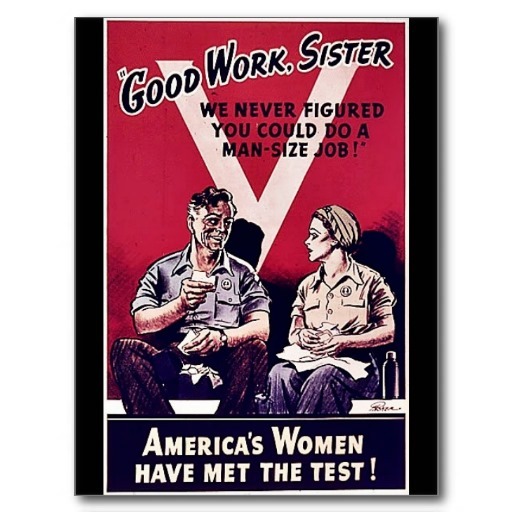 WWII US Work Projects Administration (WPA) poster.